Just when you thought I was done with Easter egg decorating, I’ve got one more idea for you. 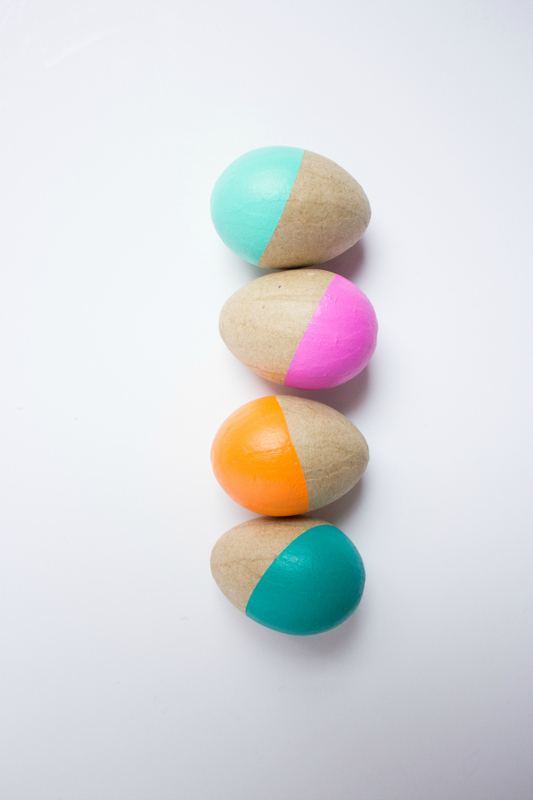 I made these simple paint-dipped eggs for MarthaStewart.com! 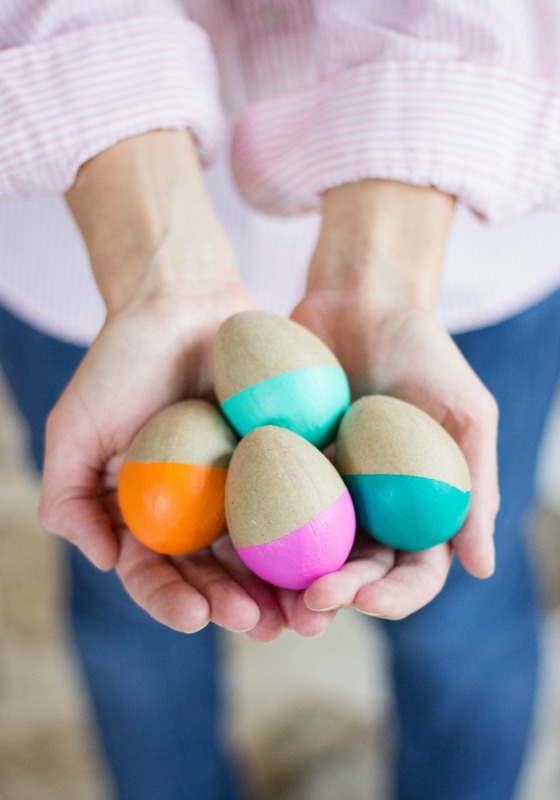 I can’t get enough of paper mache eggs (they never go bad!). My latest way to embellish them couldn’t be easier. 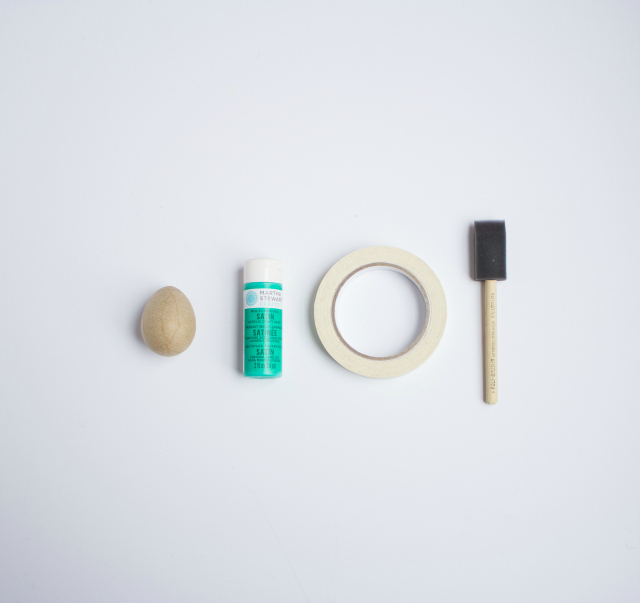 Just grab your favorite Martha Stewart paint, a brush, and masking tape. Head to my step-by-step tutorial on MarthaStewart.com and you can craft up a dozen of these in plenty of time for Easter. You may just want to keep these modern eggs on display year-round!